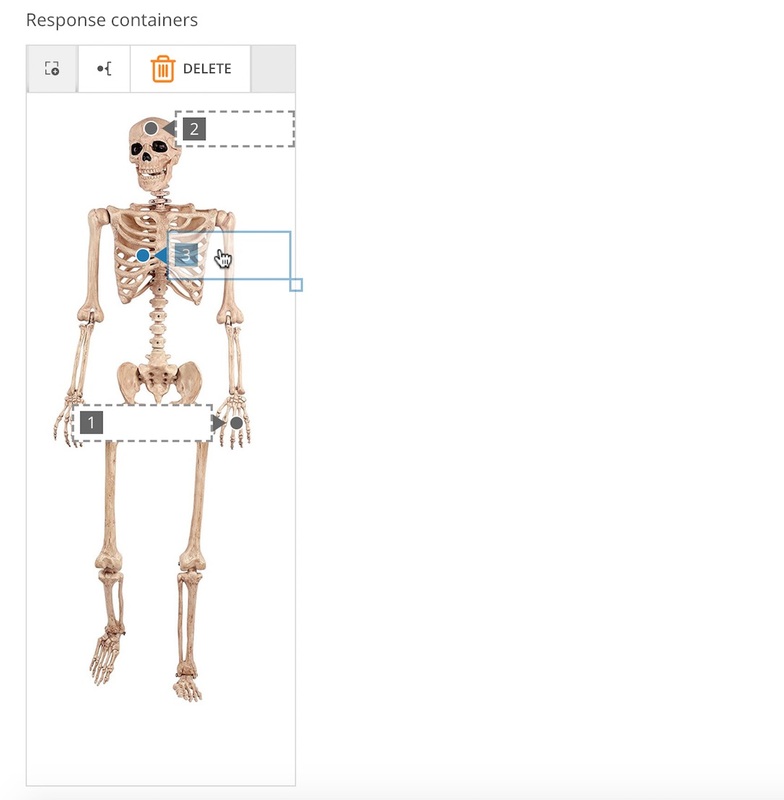 A label image question is drag and drop item type that shows the student an image, containing blank response locations on the image. 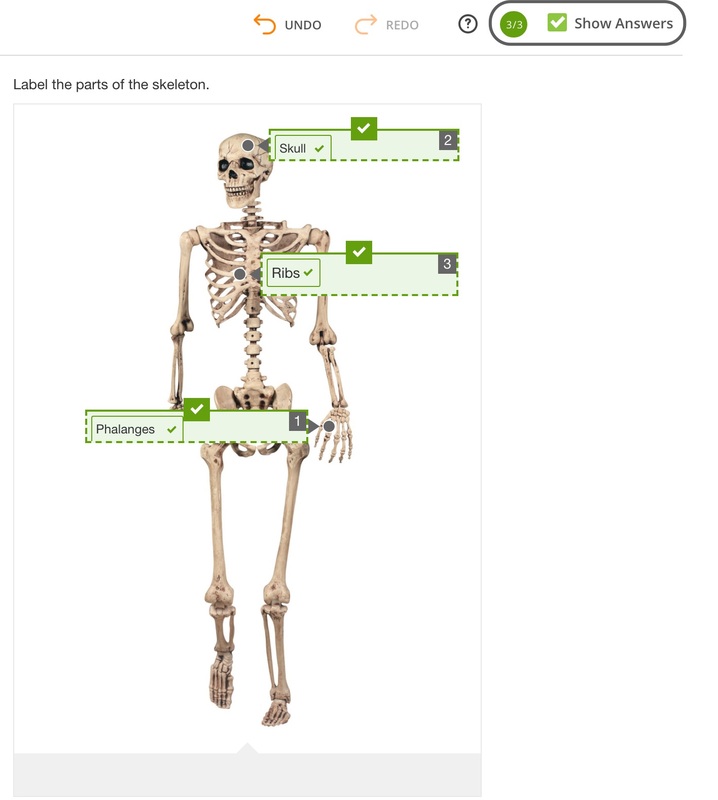 The student must move a predetermined set of answer choices into the preset blank locations. In the Compose Question field, write the question or instructions for the student. In the Image Preview, click on Edit. A new window will open. Click Replace and chose an image from files on your computer. You also have the option to add an image URL link under More Options. In the Response Containers section. Click on the image to add more response boxes. Click on each response, and then drag it to the appropriate position on the image. Do this until all responses have been added. You can change the location of the point by clicking on the point button. Next, fill in the Possible Responses. They will appear below the image. In the Set Correct Answers, write the amount of points for each correct answer. 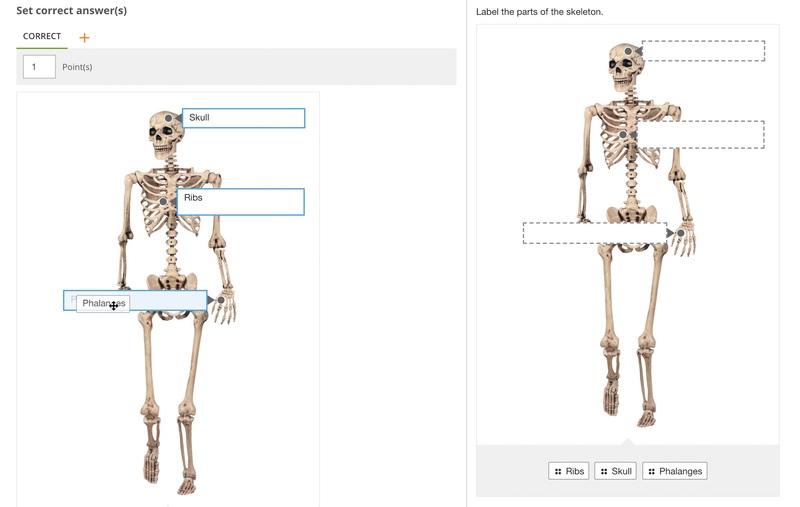 Then click and drag the correct answer choice to the correct response container. Click on the boxes to include other options like duplicate responses, shuffle possible responses, show drag handle or transparent possible responses. Click on the carat to show More Options. 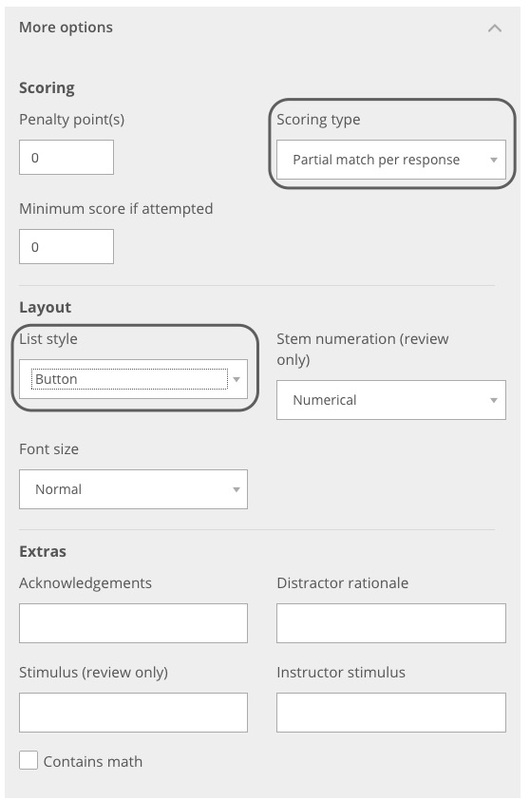 Select the scoring type to be exact match, partial match per response, partial match or partial pairwise per response. You can also change the formatting and layout of the question and list. Before you publish the item, validate that the answers are functioning correctly. To do this, click and drag the answer choices to the response boxes in the preview pane. Then check the Show Answers box. Correct answers should be highlighted in green and incorrect answers should be highlighted in red.